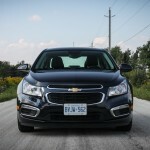 The Cruze is a conservative design but has won over the hearts of many buyers. 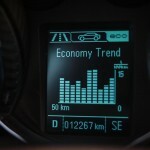 Chevrolet hasn’t been a player in the diesel game for quite a while. Or at least, that’s what the average North American would say. 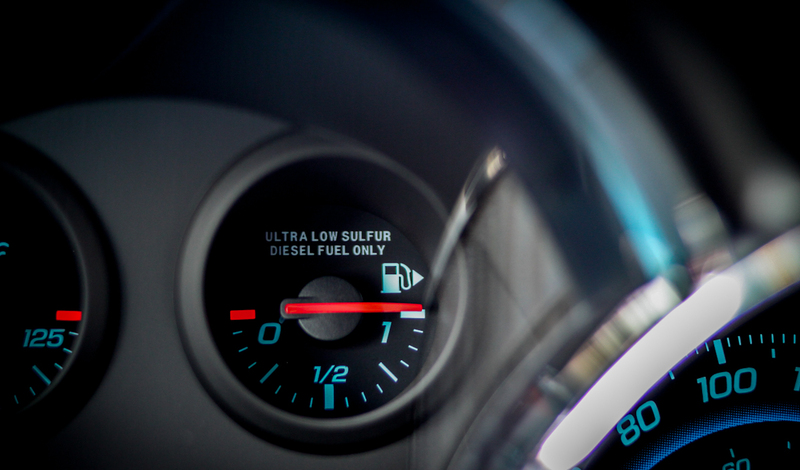 The reality is that General Motors has been producing diesel-powered vehicles across the globe for quite a while; it’s only North America that has chosen to opt out of this technology. 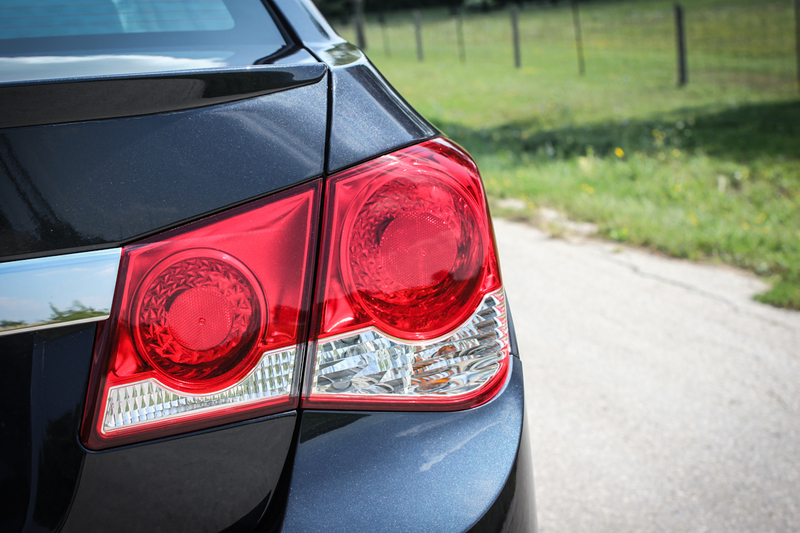 Let’s take a step back to 2013, when the Chevrolet Cruze became the first mainstream sedan from the General to be offered with a diesel powertrain on our shores. 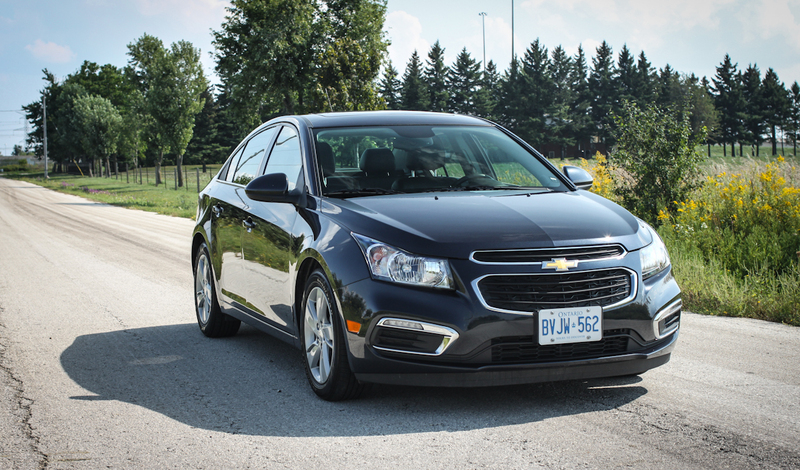 We drove it then and came away quite pleased, but decided to revisit the 2015 Chevrolet Cruze 2.0TD one last time before the model is put out to pasture for the foreseeable future. 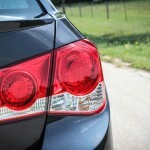 The Cruze is a conservative design but has won over the hearts of many buyers over the past few years. 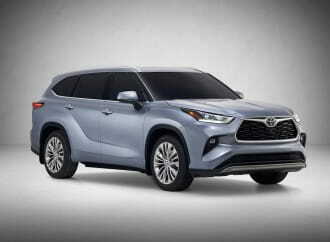 It’s conventional three-box sedan design allows it to play the inoffensive model in a segment where the polarizing Hyundai Elantra and Mazda3 are top sellers. 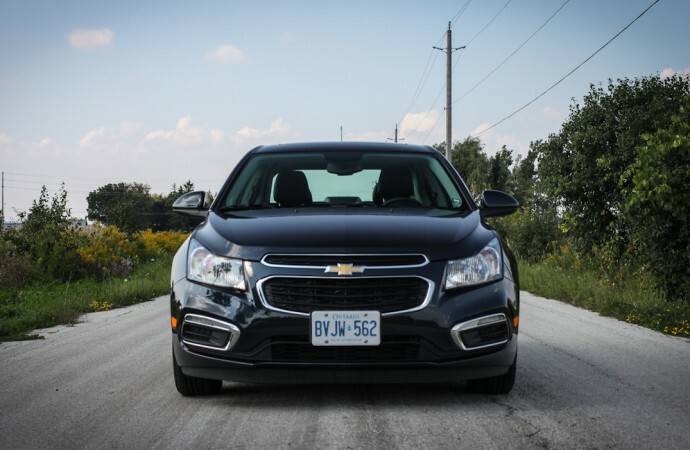 It was given a mid-cycle refresh that included LED daytime running lights and a few other cosmetic changes which went generally unnoticed – the Cruze uses its modest design cues as a strength, blending in perfectly with its surroundings no matter where it is. 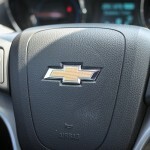 I still find it to be a handsome car; Chevrolet has given the buyer an easy opportunity to make the easy choice. What’s truly unique here is the diesel powertrain. It’s a GM unit manufactured in Kaiserslautern, Germany, and is used in numerous other applications around the world. 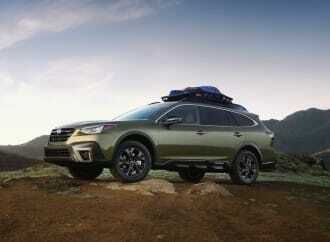 Special modifications have been made in order to render this motor usable in North America, including meeting emission requirements across the continent. Additionally, our continent experiences varying weather situations, so the motor needs to be modified to endure these conditions as well. 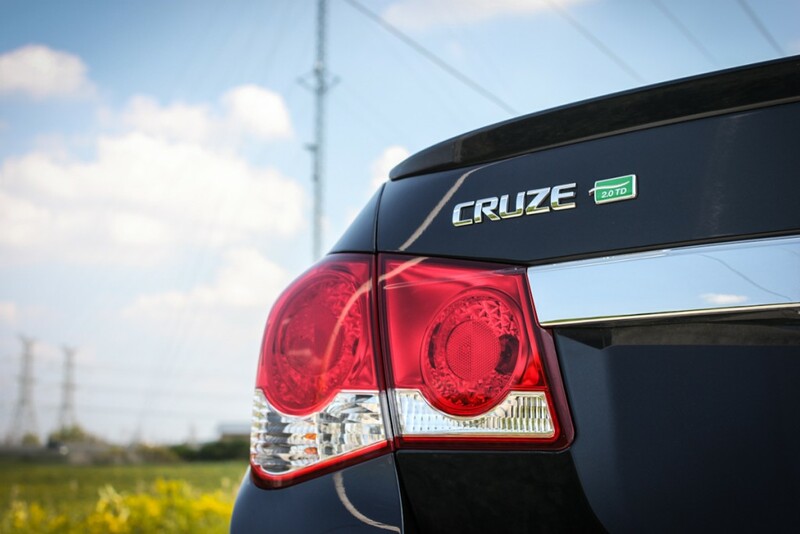 The Cruze 2.0TD is powered by a 2.0L turbocharged 4-cylinder diesel, with an iron block, aluminum head, and direct fuel injection. 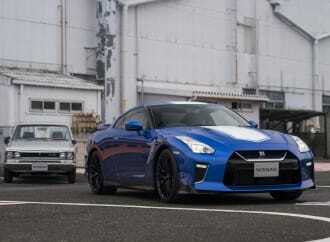 Output is 151 horsepower at 4000rpm and 264 lb-ft of torque at 2600rpm. The diesel engine is made for efficiency rather than performance, but that doesn’t mean it’s a slouch. 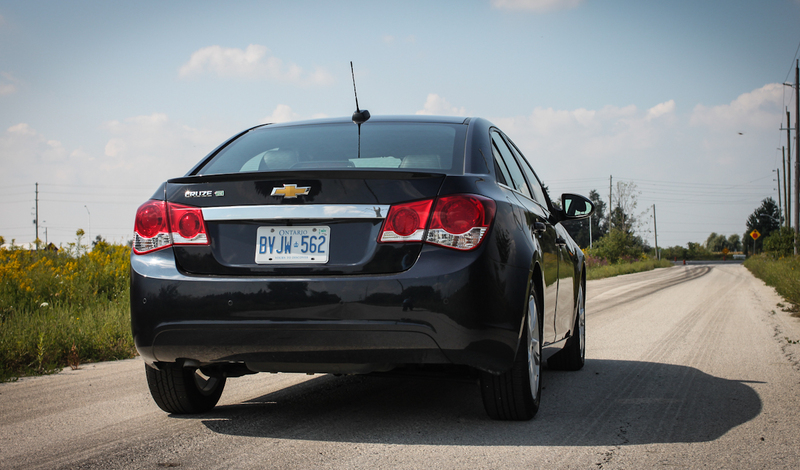 Where the regular gas-powered Cruze is a bit anemic, the 2.0TD is deceptively quick. Torque kicks in exactly when needed and quick passes are effortless. 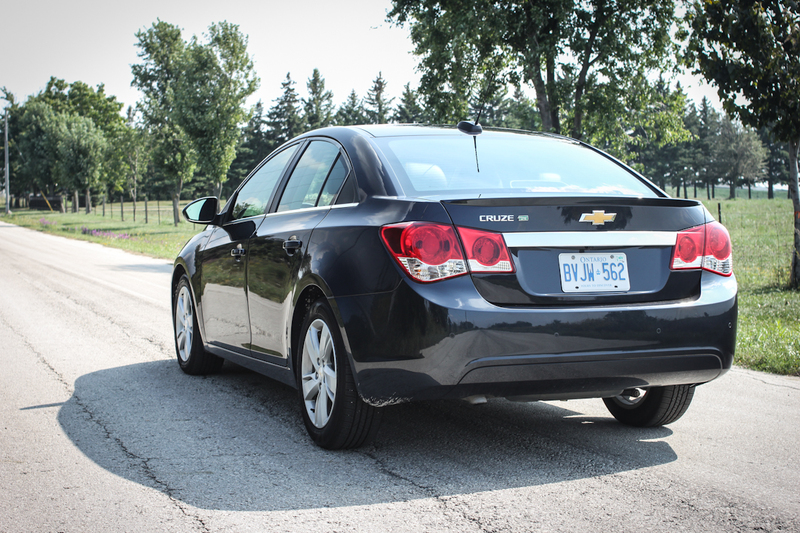 The Cruze isn’t exactly quiet though; there’s quite a bit of engine noise at idle and at low RPMs. 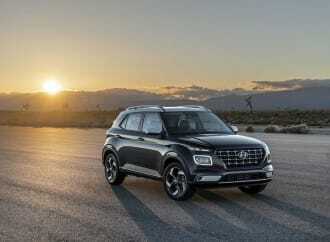 It’s almost reminiscent of Mercedes-Benz diesel engines from the 1990s; quality is evident but more refinement is requested. 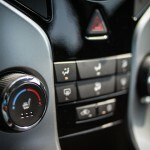 Gear changes are made via a six-speed automatic transmission, the only available choice in the Cruze. It’s a decent unit and gets the job done without any fuss whatsoever. 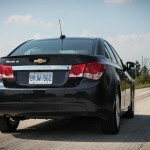 Added weight on the diesel Cruze is about 300 pounds over the heaviest gas-powered LTZ we could find. At 3500lbs, the compact is a bit of a porker, but this doesn’t necessarily reflect in the way it drives. 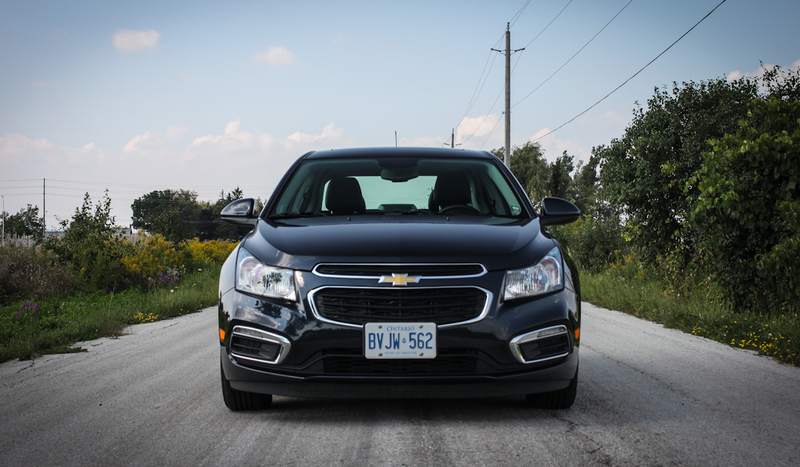 Steering is actually very good and the Cruze blasts through curves effortlessly. The wheel is nice to hold and the transmission is responsive when quick maneuvers need to be made. 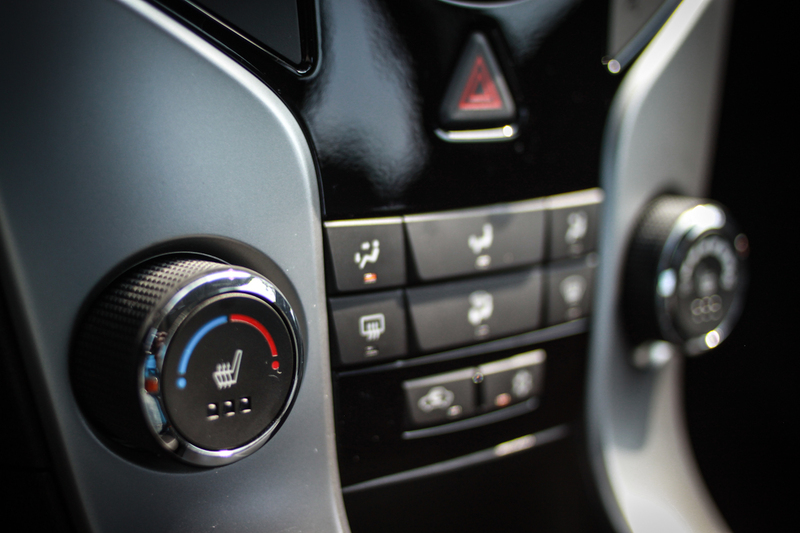 There are no paddle shifters, but there is a manual mode on the shift lever that can change gears at your will. 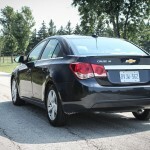 Where the Cruze 2.0TD excels hugely over anything else in its segment (save for the Jetta TDI) is on long highway runs. This is a car that’s built to handle the extended commute, and gobble up the miles as much as it can. The engine turns at just 2000rpm at highway speeds, and it quiets down and lets you bask in the comfort of the cabin, enjoying your music. Power delivery overall is a bit more confident than the Volkswagen’s, even though the Cruze feels a bit slower off the line. 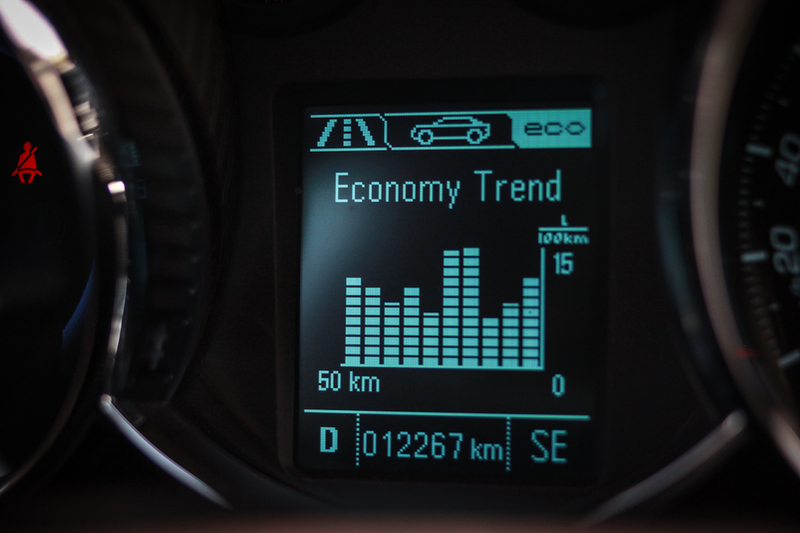 Safety features such as stability control are not compromised here; everything you’d expect is on board. 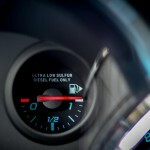 Fuel sipping is a huge forte of any diesel motor in this price range, and the Cruze delivers with grace in this regard. City driving will kill overall efficiency, but thankfully my time with the 2.0TD resulted in a ton of highway driving in ideal weather conditions. Over one combined cycle, I saw 4.9L/100km and a full tank of fuel exceeding 1000km. This is particularly exceptional considering the tank size on the diesel is just under 60L. 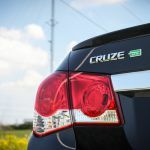 Adding to efficiency and aerodynamics is the addition of some aero bits from the Cruze Eco, namely grille shutters in front, low resistance tires on the lightweight 17″ alloys, a lip spoiler on the trunk, and the replacement of the spare tire with a fix-a-flat kit. 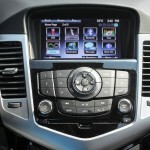 In my eyes though, the Cruze’s biggest weakness is its interior. 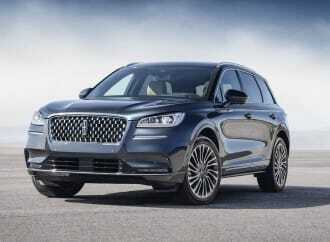 This becomes more palatable if you take the $29,000 price tag into consideration. 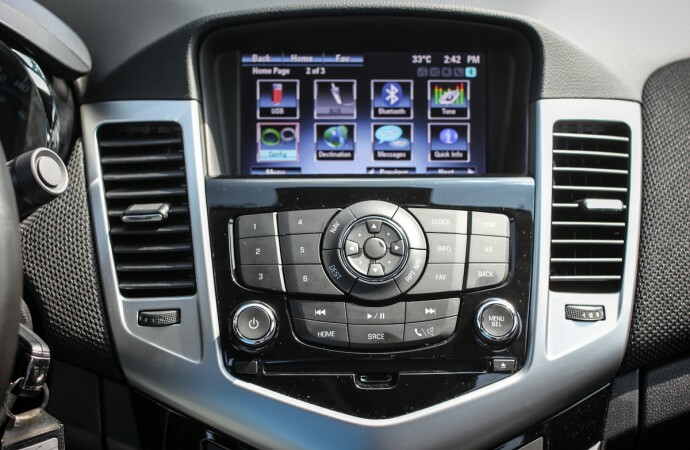 The cabin has every feature you would expect from a fully loaded compact, from a power sunroof to remote keyless entry with remote start, leather upholstery, MyLink infotainment, satellite radio, and a plethora of other gizmos. The list of toys is quite high, and they’re all convenient and easy to use. 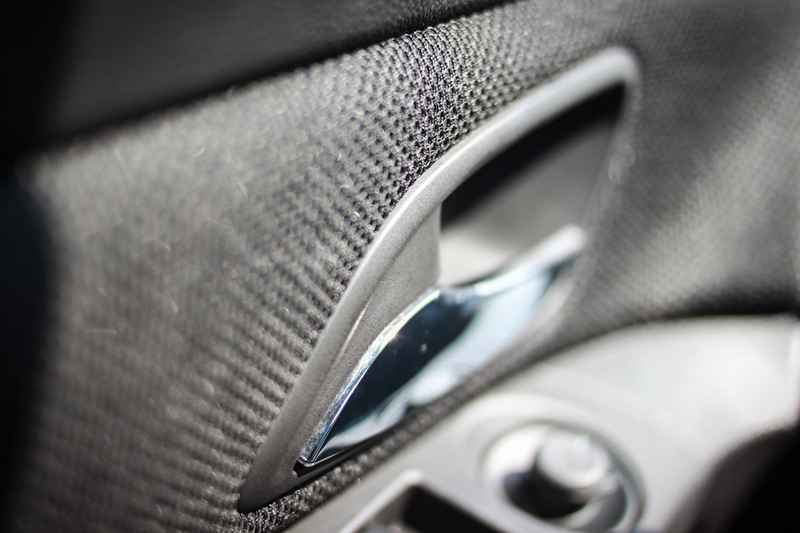 However, the cabin itself has some hard plastics, and the shift lever itself has a silver plastic piece on it as well. The parking brake is also a very thin lever that protrudes from the center stack. 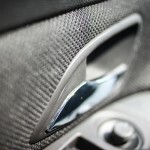 Additionally, there are some awkward cloth panels scattered throughout the interior that are pretty unsightly. 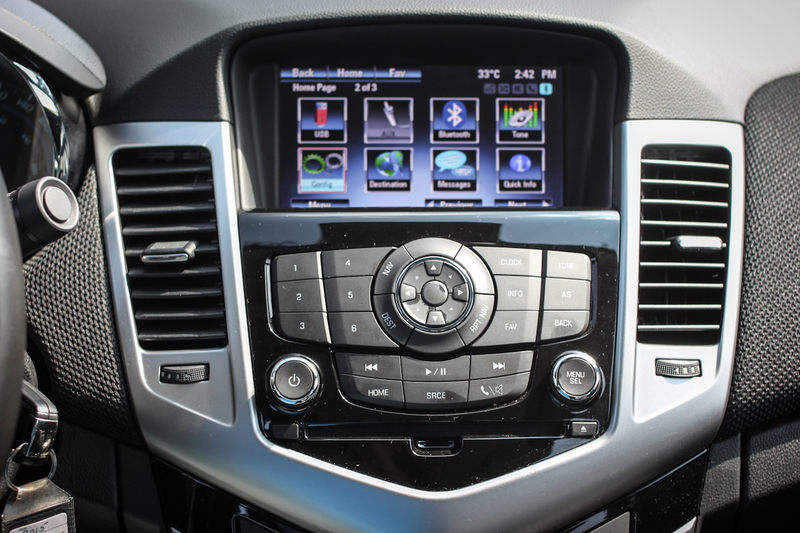 Chevrolet’s MyLink infotainment system is improving slightly with software updates, but is the same fundamental touchscreen unit that has been around for a few years now. It’s good in operation, and thankfully has many actual buttons that can be used for major commands (especially volume, take notes Honda). 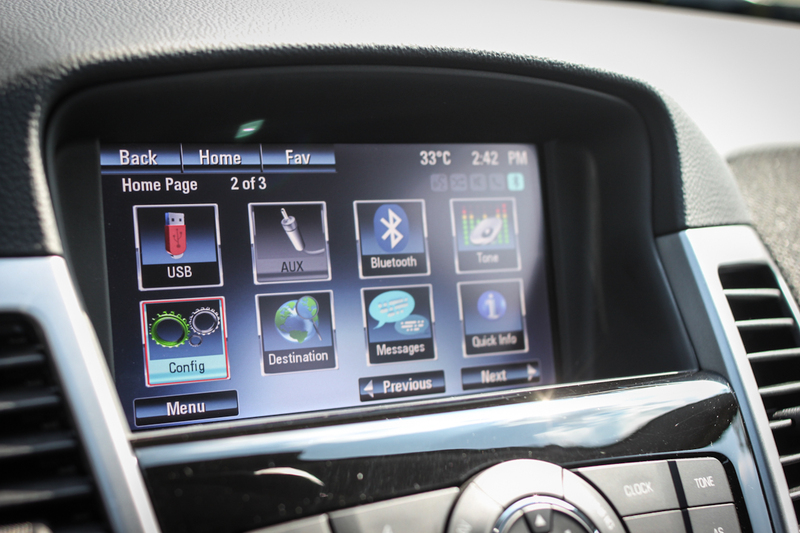 My only problem with MyLink is the fact that many of the touch “buttons” on the screen are quite small, and thanks to the placement of the screen in the Cruze’s dashboard, buttons located in corners are hard to reach. 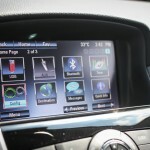 The navigation system is easy to use and is pretty good at recognizing voice commands as well. 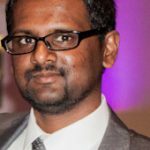 The Cruze’s main competitor is the Volkswagen Jetta TDI, and plenty of our colleagues at other publications have conducted comparison tests between the two vehicles. 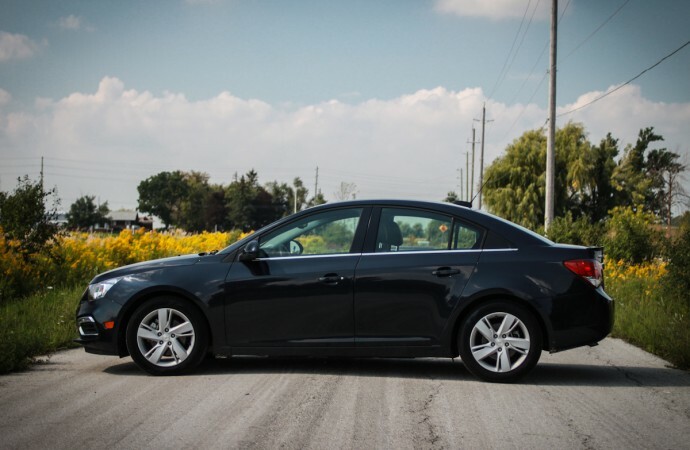 I find the Jetta a bit more involving to drive from an enthusiast perspective, whereas the Cruze excels in overall comfort and is even capable of delivering slightly better fuel mileage. A comparable Jetta TDI Highline with similar options is about $2,500 more than our Cruze, which stickers at a hair under $30,000 fully loaded. 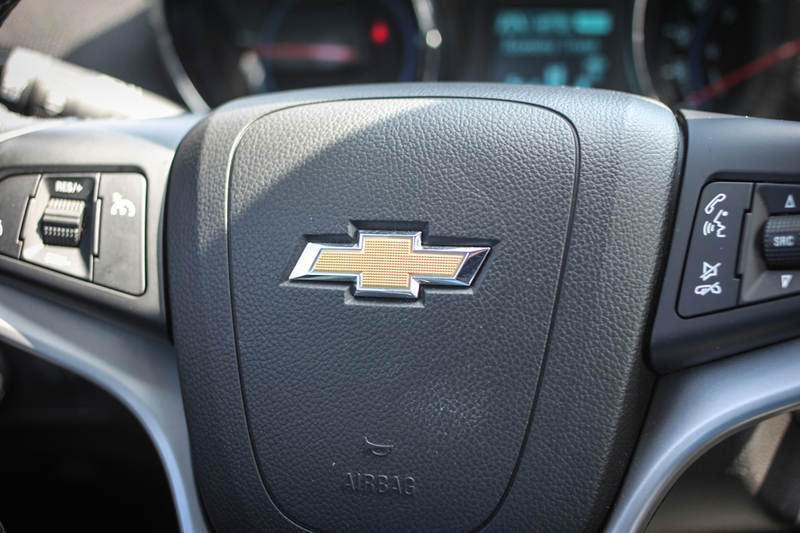 The Chevy will also likely be a little bit more reliable in the long run, with the only downside being an interior that will age quicker than the Volkswagen’s. 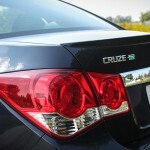 At the end of the day, it’s left up to personal preference, but if it were my money, it’d be the Cruze. 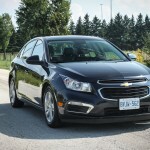 Until Mazda’s diesel finally arrives in North America after what seems like the longest delay in the world, the Chevrolet Cruze continues to offer the only non-Volkswagen mainstream diesel available in North America. It may not be the most refined option available, but what General Motors has done is create a niche in a market that they know people will spend their money on. 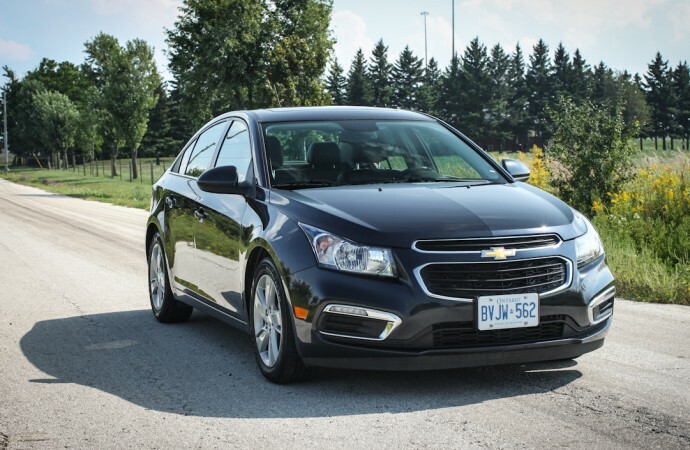 Regardless of its flaws, the 2015 Chevrolet Cruze 2.0TD is a comfortable, efficient choice that does its level best to conserve in the least compromising manner possible. 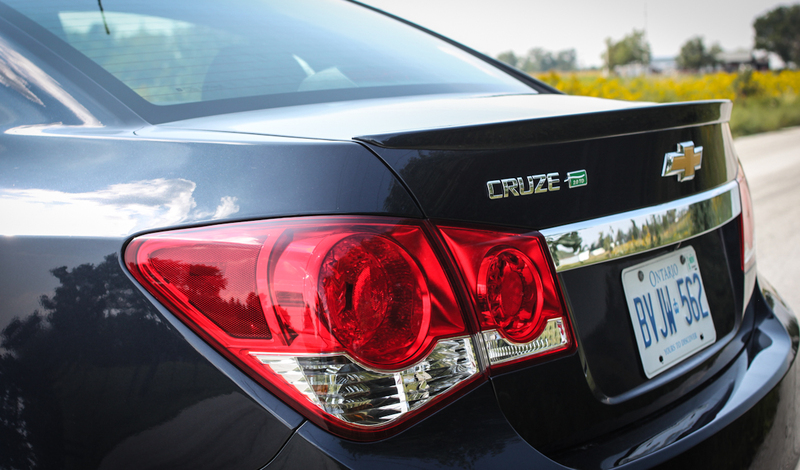 With the redesigned 2016 Cruze on the way, we can only hope that the diesel will make an eventual return.